Venezuela has officially launched its oil-backed cryptocurrency. [My commentary] As the Covert and Overt Wars continue on Dejure American Governments, it becomes clearer who is to blame and why. The European Colonialist are trying any and every bit of Tricknology to keep control of American Territories and Original Copper Colored Peoples. 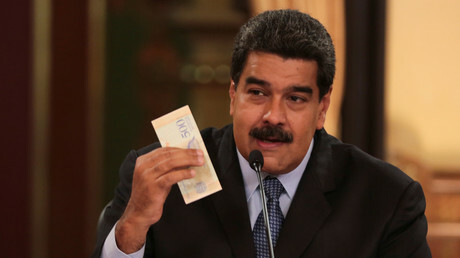 Just a few months after Maduro first announced the idea of the oil-backed Petro, the US prohibited in March US dealings with any digital currency, coin, or token issued by Venezuela. Trump accepts Nikki Haley’s surprise resignation as UN ambassador.